Dexter Industries launches a fun educational game that coaches kids to solve problems by challenging them to accomplish secret missions called Spy v. sPi. Dexter Industries, a growing U.S. educational robotics company developed Spy v. sPi, a capture-the-flag style engineering adventure that puts real purpose to basic design and programming skills. It can be played individually at home, or in teams in a classroom or a workshop. In it, every “spy” is assigned a series of missions, each requiring them to write code to control an assortment of sensors that will allow them to protect their “jewel” in different ways, or capture the “jewel” of a competing spy. Spy v. sPi is based on the GrovePi, an easy-to-build robot kit that includes a rich collection of programmable, plug-and-play components — from sensors for things like distance, sound, light, and infrared, to buttons, buzzers and more. 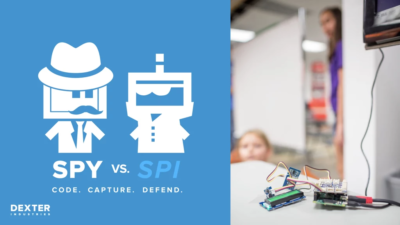 Thanks to the GrovePi’s combination of hardware and software, Spy v. sPi makes it easy to connect to a robot, start writing code, and get rewarding results right away. We’ve developed Spy v. sPi’s missions with a full range of skills and experience in mind, so no prior programming or electronics experience is required. 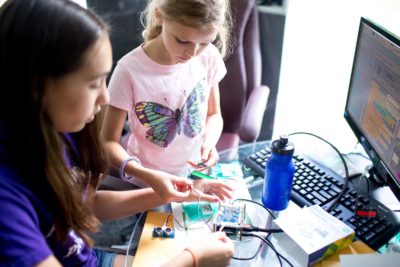 Each Spy will learn how to program the different sensors and components with step-by-step instructions, all while completing a mission. There are also missions for more advanced spies, and there’s no limit to how complex your solutions can get. Best of all, the entire program is designed by actual spies, so players will face real-life engineering challenges they’ll solve just like real spies do. 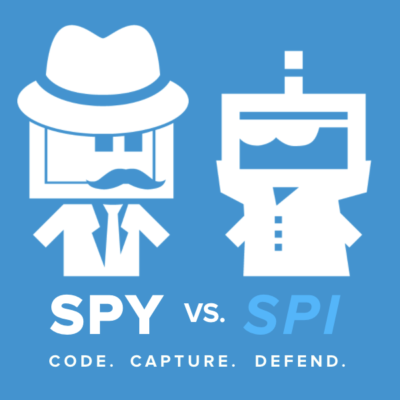 Spy v. sPi is designed for everyone — so we have two different programming languages you can use. Scratch is for beginners, and is a drag-and-drop programming language developed by MIT. Python is available for more advanced spies, and is an open source text-based programming language. The Missions are step-by-step instructions that first teach you the basics of Scratch and then help you move on to more advanced programming in Python. Spy v. sPi Missions are activities in the form of a mission. Each spy will learn how to program the GrovePi and an assortment of sensors to accomplish different objectives, all within a story created by real spies! The Missions will come in a beautifully designed and illustrated full color printed booklet and online videos. It includes space to work on ideas and plan your solution to the challenge, as well as all the information you need to be a successful spy. We believe the best way to learn is by doing — building something tangible to solve real world problems. Some learners thrive in a competitive environment, and for them, Spy v. sPi is perfect: you can play in teams or against an opponent. For solo learners or those that want a family game to play at home — some spies might want to equip their room with a spy device or alert them of entry by a sibling. Spy v. sPi Missions support both styles of learning and are fun for everyone! Learn more at dexterindustries.com/spy.